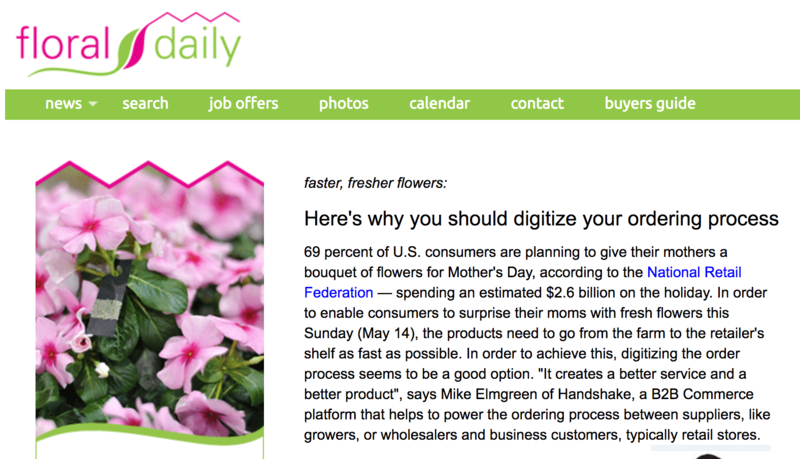 Digitizing the ordering process reduces fulfilment times so the flowers can ultimately get to the shelf faster. On top of that, it also helps to eliminate costs associated with manual order entry and management. Elmgreen says a lot of errors that occur happen when someone is calling in an order. Often times they are written down incorrectly or the handwriting is difficult to read. As a result, incorrect products are shipped to the store. This is huge, particularly in the flower business where the product is going back in a week or less, and they have to eat the cost.